When it comes to classic 3 stripes trainers, they don’t come much better than the adidas Gazelle, and we’ve got everything you need! 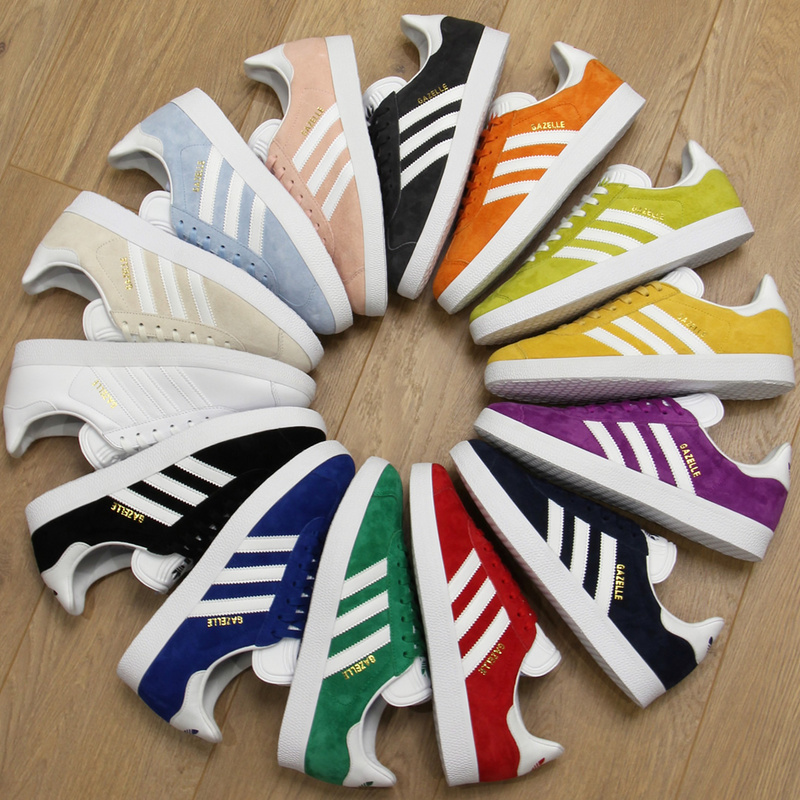 Collectors and fans of the 3 stripes brand all share a common admiration for the adidas Gazelle. Not only is it one of the original and biggest styles to come out of the 80’s casual era, but it is a timeless trainer that just looks good no matter what. Decades have gone by with new subcultures and followings from the whole Britpop generation to modern day with adi’ fans still yearning for that all time 3 stripes classic look. First released in 1968, the adidas Gazelle really made its mark on the terraces in the late 70’s and early 80’s whilst stores were sourcing 3 stripes from Germany to a new wave of dressers and casuals alike. 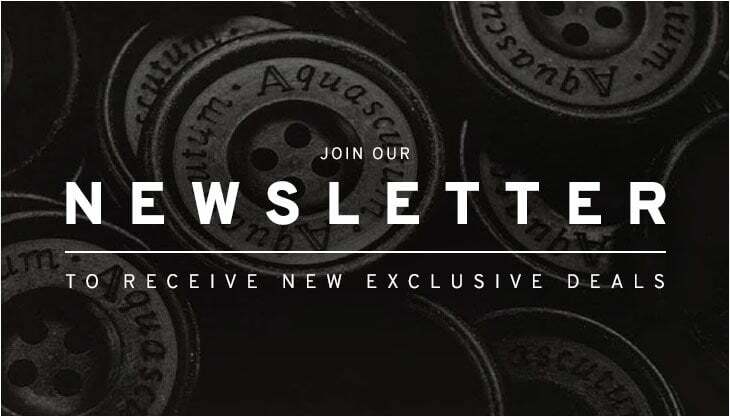 Since its birth the Gazelle has continued to have a close connection to 80’s culture with the original B-Boys, the casuals, the music and classic retro sportswear. Arguably one of the most celebrated adidas styles of all time, the adidas Leather Gazelle is back in its original format. 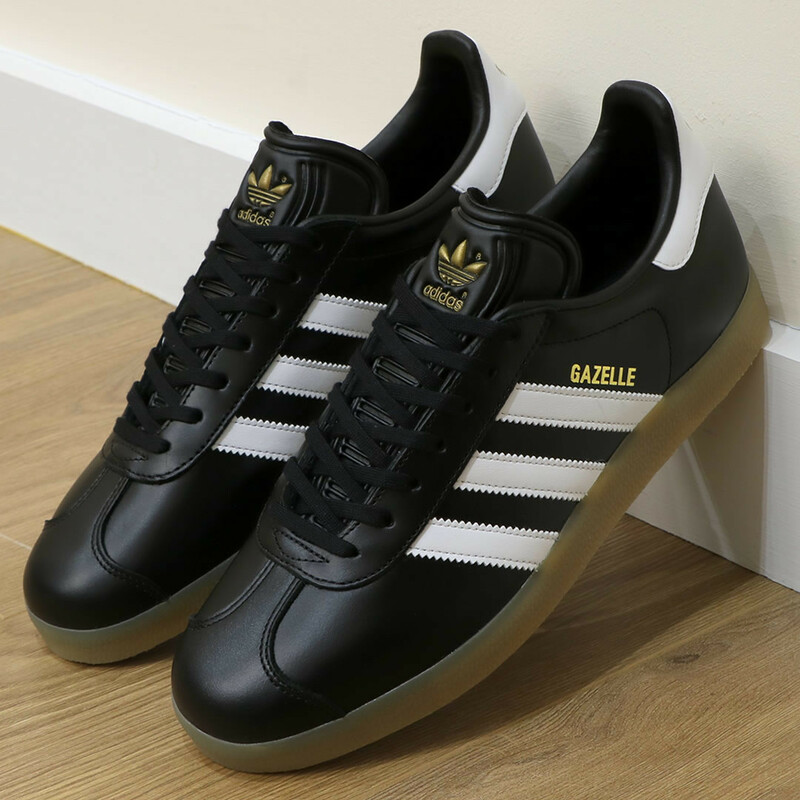 Available in classic black and red the trainers feature super soft leather uppers with the iconic gold ‘Gazelle’ to the sides. Both colourways feature the contrasting white 3 stripes to the sides and trefoil to the heel tab. As new adi styles come and go, this one will continue to be one of the most celebrated ever. Then there is the Gazelle 91′ model, taking the original 90’s release with some subtle updates. Available in just about every colourway from bright orange to yellow, black and green, the latest version features soft suede uppers and the all important adidas trefoil to the tongue. All good ‘dressers’ will know the importance of matching footwear to their track tops, and vice versa. So whatever your colour choice or preference we have pretty much got you covered! 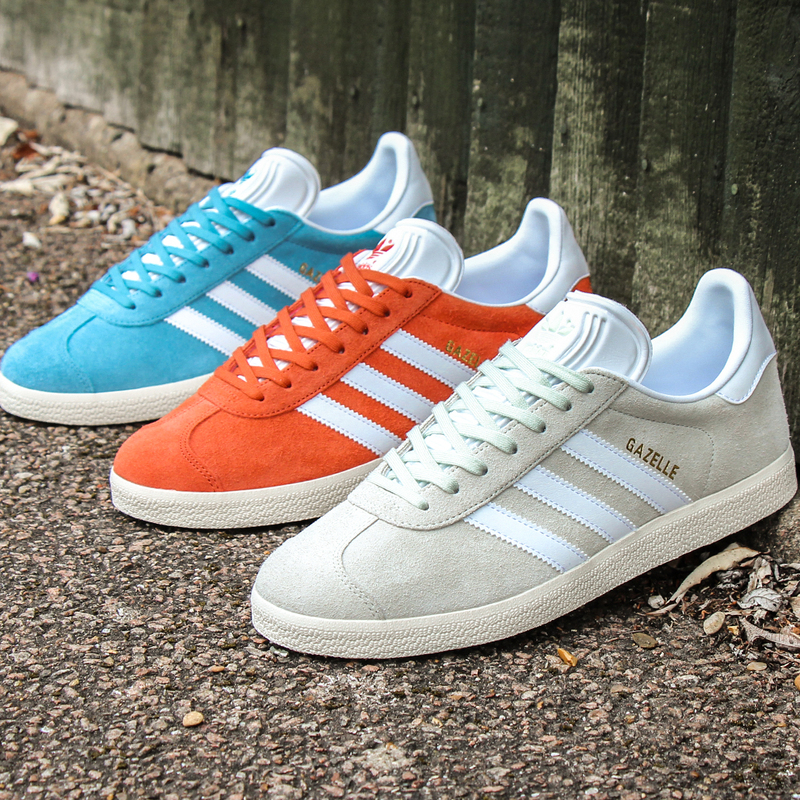 The adidas Gazelle trainers featured are all available now from 80scasualclassic.co.uk. You can tell us which one is your all time favourite by leaving a comment below!